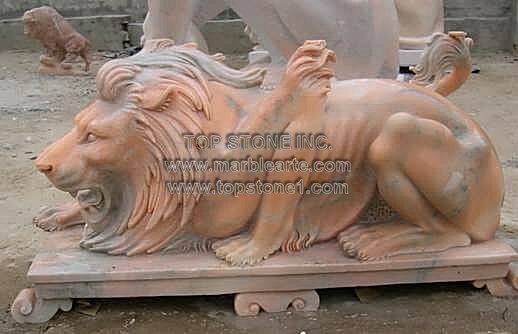 Description: TSAL182 - Crouching Lion Marble Art - Crouching Lion is one great garden art piece, made of Italian marble, that works really well when set up as garden sculptures. This great garden cat statue has other talents as well. Apart from being landscape sculptures or home statues, this lion garden statue is one of the greatest animal statues to ever grace as memorials. So don’t hesitate to buy them from statues for sale outlets, when they have so much to offer you.